Delicious Malaysian cuisine. The serving portion was just right. 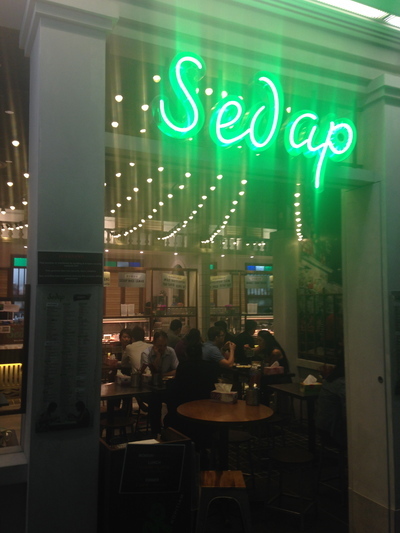 Sydney, we have been raving on about the Malaysian mamak restaurants, and from what was (and still is) a successful one in popular Chatswood, now comes the city version of Sedap Malaysian Kopitiam. Even if you're not into either Malaysian and/or Asian fare that frequently, you'll be pleasantly surprised here, and I still am. 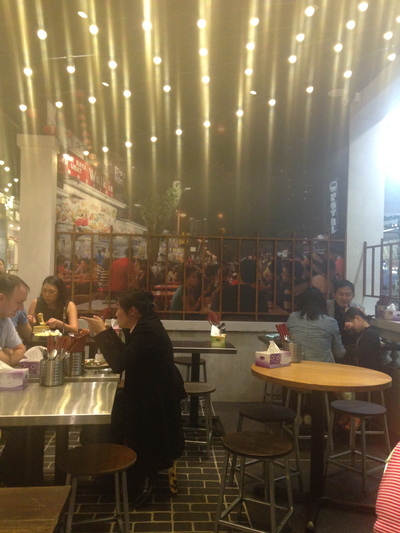 Firstly, Sedap is located right near the cinemas area of George Street. In the 501 George Street complex to begin with. The entrance is simple, yet rather impressive. No food court feeling here. Polite staff, tick. The only qualm I'd have about this place is to do with communication on the ordering process. I went to my table, was given the menu, and I tried to get someone's attention, only to then work out that the ordering system here is bistro style, with partial table service. You need to order and pay at the counter. Be prepared, and carry a bit of cash with you. I failed to observe whether or not this establishment takes any credit cards as payment. Easy, you're then given a table number, and this is pleasant 'fast food.' No mucking around. 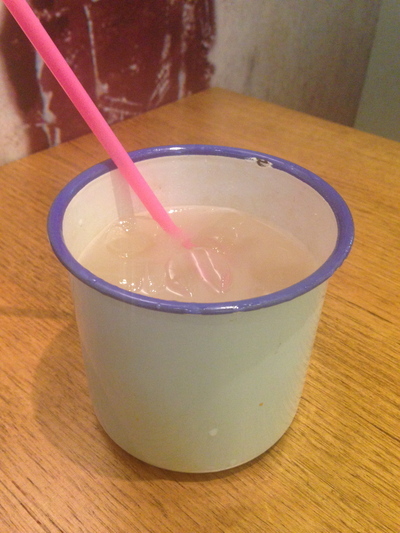 Loved the Homemade Barley Drink ($3.50) with pieces that feel a bit like breakfast cereal, yet this one was interesting, albeit a refreshingly good beverage. If your alternative is water, you'll be fine with this light drink, and you'll easily get your money's worth and then some. Struggling to finish it at the end. 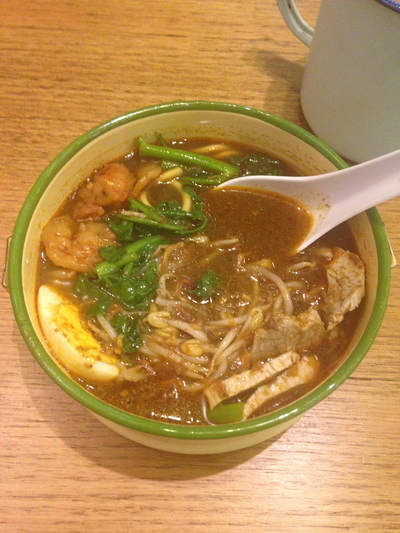 The Penang Har Mee (Prawn Noodle) mamak ($12.00) was money well spent, despite leaving half this dish behind. No appetite perhaps, and yet did not eat much (if any) dinner either. A late Friday lunch (think 2ish) is perfect here. Ensure your chilli paste is mixed before tucking in, otherwise your mouth might hit flames so to speak. 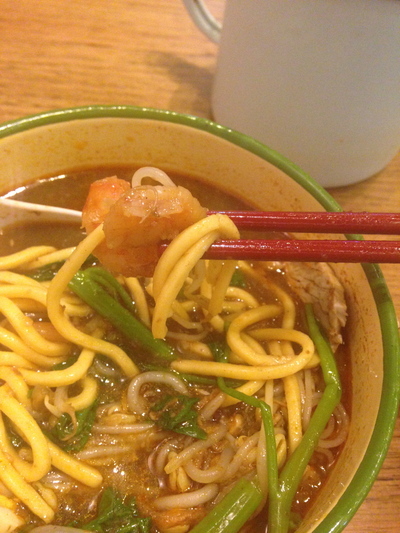 The right amount of noodles and broth. Fresh, small prawn pieces were in, and I loved the chicken chunks. Eat in, and eat out. Love it here, and comes highly recommended. 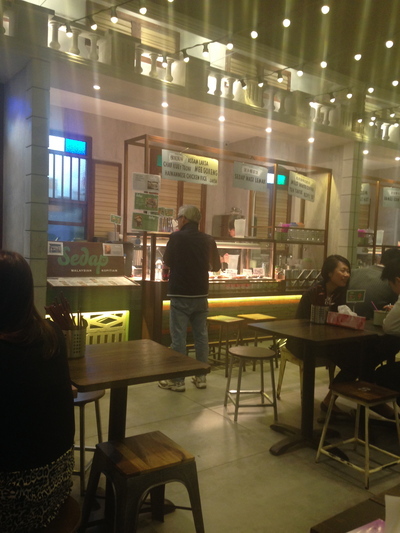 Newly opened Sedap Malaysian Kopitiam, Sydney City. 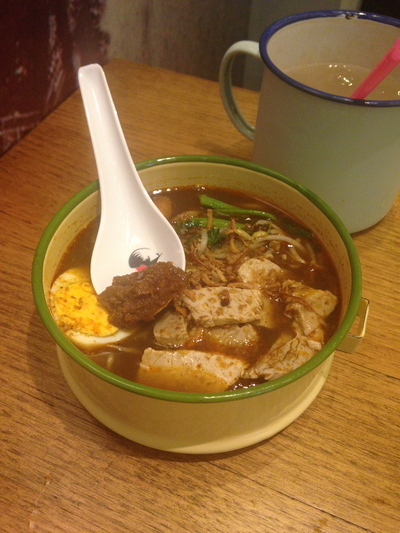 Where: Sedap Malaysian Kopitiam - 501 George Street Sydney City. Why: Fast food and friendly service, with the right serving sizes. When: Lunch, usually after 2pm. Great to come here on a leisurely Friday afternoon.